UPDATE: A Full HD version of this camera is now available, called the HDVR-180. It records 1080p video at 30fps, or 720p video at 60fps. It also supports external GPS (optionally). This remarkable dashboard camera clips right onto your rear-view mirror, making it one of the most discreet dash cams around. It comes with an integrated 2.4″ screen that appears on top of the mirror’s surface (though the display can also be switched off). The HDVR-150 by ABEO is easy to install and use: Just clip it on your existing rear-view mirror, tuck away the cable around the windshield, plug it into the cigarette lighter, and you’re good to go. When we bought this camera, it came with a 4GB MicroSD card included. However even at 720p resolution, this is barely enough to record half an hour of driving. We recommend you upgrade to a 32GB card, extending your recording capacity to about 4 hours. While the camera does have an option to record at 1080p, the video is interlaced (15fps) and the result is quite bumpy. Therefore the 720p setting is definitely preferable for the HDVR-150. It comes with all the basic features that a dash cam should have (loop recording, motion sensor, auto on/off, date/time stamp) including parking mode, but it does not have a GPS functionality. Considering this is a 720p camera, video quality is good during the day time, and average at night. 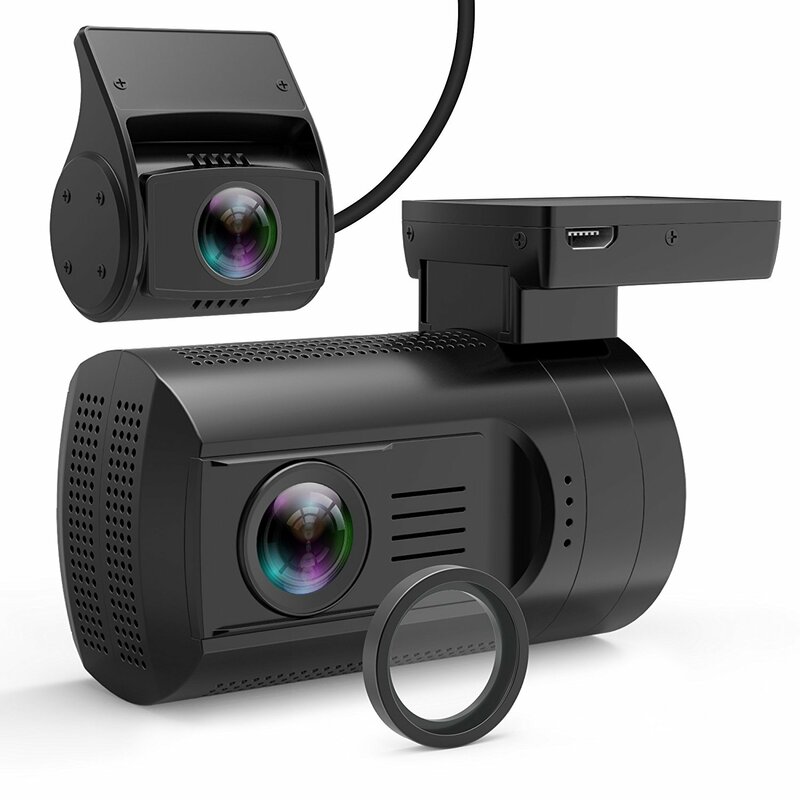 This is okay if you just want a dashboard camera that does its job and delivers decent video, however 720p just isn’t state of the art any more and we do recommend you instead consider the HDVR-180. What sets the ABEO HDVR series apart from most other dash cams is their smart and stealthy design: A casual onlooker will just see a normal mirror, and won’t suspect that you have a camera installed at all! Users consistently underline that the service by KiWaV (HDVR-150’s and HDVR-180’s distributor) is quite outstanding. Should you have any problem at all with your camera, they are happy to help their customers out at no additional charge, no matter whether you need help with the settings, a firmware update or even a hardware replacement. For original HD video quality, watch on full screen and set the video resolution to 720p using the cog icon in the lower right of the screen. Taking into account that this is 720p, video quality at day is not too bad. All relevant details are clearly visible, however license plates are only readable from short distance. Night video quality is average for 720p. Some details are clearly visible, but license plates are hard to discern even when close.